Instead of a linear cause and effect of “this causes that,” it’s usually more accurate to look at the problem as a loop: this and that both influence this other thing, which in turns causes more of the first thing. Loops such as this are often self-reinforcing, and can be constructive, making things better and better, or destructive, making things worse and worse. We’ll see examples of both. Loops also refers to continuous activities. Learning and training, for example, are never “one and done” activities. Learning is a lifelong commitment: for your professional life, for the life of the team, for the life of the organization. The poorly-named activity of “requirements” similarly is never “one and done.” It’s an ongoing process of continual, shared learning. You want to develop software continuously, in a series of small, fast, loops—not a single long, drawn out linear death march, or even an endless series of small, painful, linear death sprints. 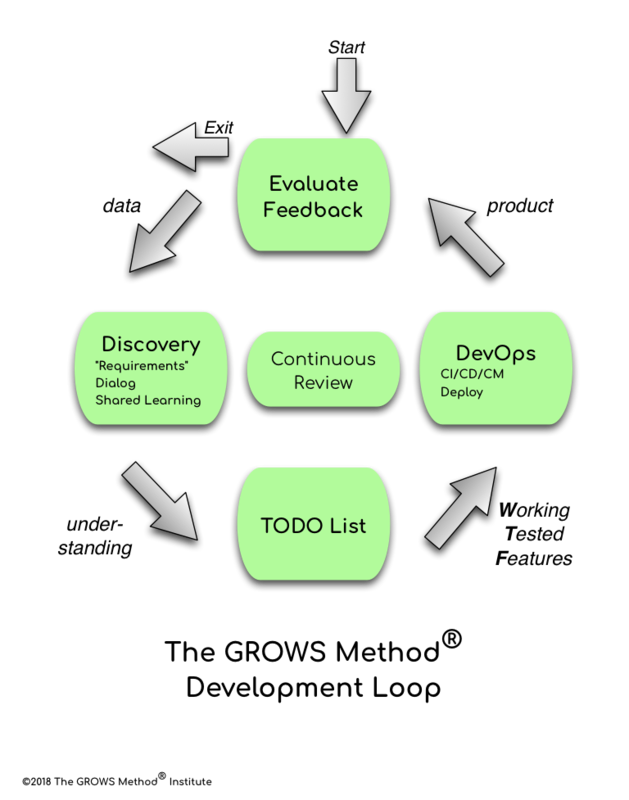 Fast feedback is essential to success in modern organizations, and that too is done with small, fast loops. This seed suggests that you want to view the world through the lens of Systems Thinking, in terms of loops and cycles. So we’ll look at ways to change your habits to think in terms of Loops, not Lines.